your hand skin can peel or crack it’s a lack of moisture skin while peeling on the hand can also be accompanied by other skin problems, like a dryness, itchiness, rash, deep cracks that may bleed. Most cases, dry hand are caused by the environmental condition weather winter can be especially drying to the skin. Skin loss it’s moisture faster then cleansing so carefully use face washes and body washes, frequent handwashing, is a dangerous dermatologist opinion use a mild soap the next step used the gloves. Researchers show that dry skin can be inherited experts say if you’ve always had dry skin, or it runs in your family, it’s essential that you’re applying daily moisturization. To keep your hand hydrated you always care and moisture your hand, do you know that natural ingredients are the best way to fight dry hand and give good moisture your hand. 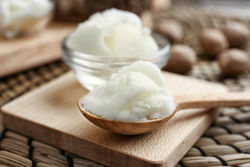 hea butter is an excellent moisturizer and full of nutrients, it has been known to aid in treating eczema, burns, flaky complexion that crack or itchy skin, it works so well at smooth soft and moisture your hand skin shea butter is often used in moisturizers, cream, lotion. 1. Take a small amount of shea butter. 4. Repeat this two-time a week. 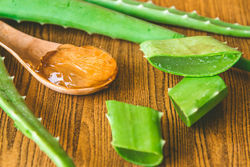 Aloe vera help to soften the skin on your hands it penetrates the skin easily use aloe vera to heal dry damaged, rough, itchy, cracked skin it locks the moisture in the skin and keeps it hydrated for long aloe vera is considered as a superfood for the skin it is also used in many cosmetics, moisturizers, soaps and body washes. 2. Apply gel on the hand and massage it in, so it is absorbed into the skin. 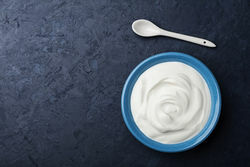 yogurt is an amazing nutrient-packed for exfoliate and skin moisturizer it also removes dead skin cells preventing the skin from getting dry and dehydrated give you healthy, smooth and effortless skin. 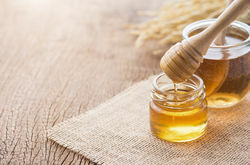 Honey moisturises the skin deeply is the best way to keep your skin hydrate honey promotes healing by decreasing any inflammation it will leave your skin feeling soft, smooth. 1. Take two tablespoon yogurt and one tablespoon, organic honey. 2. Mix together to form a fine paste. 3. Apply on your hands and leave it 20-25 minutes. 4. Wash with lukewarm water. 5. Follow twice a weak. TY for this piece, it has been very useful to me! Way simpler than anything else out there.